Roman Blinds are a combination of subtle textures and soft fold fabric, showing off precise lines while still controlling light effortlessly. 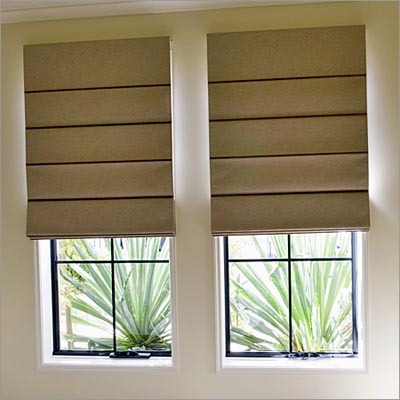 The elegant non-stitch groove system is discreet and improves the aesthetic of the blind as there are no stitch lines running across the fabric, which allows total block-out and clean lines to be achieved. Our range of fabrics include modern prints and classic plains, bringing the best of both worlds together with the décor design of curtains and functionality of blinds.